Do you have a New Year’s resolution to fix things that are broken in your life, such as repairing your sprinkler? Sprinkler repair is often better than replacement for a couple of reasons. Makes sense. Installing a new sprinkler system is expensive, a sprinkler repair is cheap. 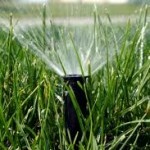 Sprinkler repair helps drop your water bill each month. Hey, that may fit into another New Year’s Resolution: be better with money next year. A sprinkler repair job helps to protect your plants from over-watering and the water sensitive areas of your property from flooding. 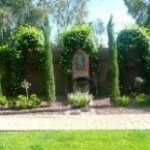 Green Servpro is a landscaping company in Chandler Arizona that offers sprinkler repair. Is lawn maintenance part of property estimates? Not completely, however, it is one factor that is used to determine mean property values in an area. If an area has homes that are kept up and landscaped well, they are assessed at a much higher value than homes that are dilapidated and run down. First off, what part of your property is considered the lawn? 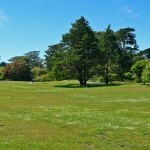 A lawn is an area of aesthetic and recreational land planted with grasses or other durable plants and can be defined by four characteristics: It is composed only of grass species; it is subject to weed and pest control; it is subject to practices aimed at maintaining its green color; and it is regularly mowed to ensure an acceptable length. Low ornamental meadows in natural landscaping styles are a contemporary option of a lawn. In recreational contexts, the specialised names turf, pitch, field or green may be used, depending on the sport and the continent. The term lawn, referring to a managed grass space, dates to no earlier than the 16th century. Tied to suburban expansion and the creation of the household aesthetic, the lawn is an important aspect of the interaction between the natural environment and the constructed urban and suburban space. To read more of this article, please click here. Whether in a large open city park or your own front yard, lawns require lawn maintenance. Lawns add a bit of beauty to your home. 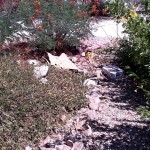 While a lot of people try to save money by getting gravel and desert landscaping, such landscaping is not for everyone. There is actually another surprising reason to have a lawn as opposed to gravel. As they are a natural repository for moisture then can help to cool your home. Temperatures drop by 10 degrees off a lawn that has had proper lawn maintenance and watering done. Some people can do their own lawn, particularly in a smaller space, however, it is often better to call in a company to help you with your lawn, as it can be a bit tricky without the proper seed and fertilizer. If you do need a lawn maintenance company, go with someone local. Green ServPro is a Chandler-based landscaping and lawn maintenance company. Now that Christmas is over, have you thought about sprinkler repair? No? You should. Spring will be here before you know it. Arizona doesn’t have seasons, it has micro-seasons. So we are coming up on the first of the warmer micro seasons in Arizona, the Arizona spring. Warmer temperatures mean that plants start to grow. You’re going to need sprinkler repair to make sure your sprinklers are working correctly. If you haven’t looked at your sprinklers in a while, you may need sprinkler repair and fairly quickly. Spring in Arizona can start as early as late January during a warmer year. Too much water can rot the root networks of your plants, and too little water can starve your plants. A company that offers sprinkler repair can check out your sprinkler heads and pipes to make sure they’re working alright. You don’t want to look out your window and see a fountain of water unexpectedly pop up. If you fix it proactively, you will have one less thing to be worried about. Spring is coming fast. Get sprinkler repair done today, and be prepared. A landscape designer is a specialist in curb appeal, or the appearance of your home. Beautiful landscaping in any area serves as a reminder of nature, even in the middle of a bustling city, as this article about the Japanese Friendship Garden in Balboa Park shows. The Japanese Friendship Garden, also known as San Kei En　is a Japanese Garden within Balboa Park, San Diego. It is an expression of friendship between San Diego and its sister city Yokohama that binds the two cultures to create a unique experience for visitors from all over the world. Representing a new concept in the development of a Japanese garden outside of Japan, the Japanese Friendship Garden is designed to present an atmosphere of elegant simplicity (shibui) and quiet beauty. The design is guided by the original principles of the Japanese garden while incorporating elements of the regional landscape and climate. A garden is always in a state of change but the basic elements of trees, shrubs, rocks and water designed in natural balance create a peaceful, harmonious, and transcendental environment conducive to contemplation and meditation. 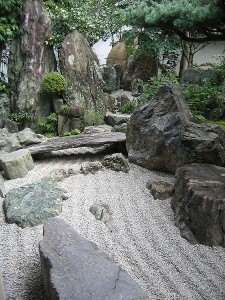 To read more about the Japanese Friendship garden and the elements of landscape design it uses, please click here. An underlying theme like a Zen garden, or a tropical oasis is a good thing in landscape design, and is fairly customizable. Some themes can even be mixed and matched. Be warned however, that you want to make sure that you aren’t mixing things that will overpower each other. 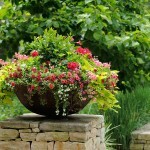 As to who would would hire a landscape design professional, there are some clear demographics. Women are more likely to than men, upper middle class families and small businesses are more likely to hire than lower income families and corporations. Green Servpro is a landscape design company based in Chandler, AZ, and serving the entire Greater Phoenix area. The home improvement season is now upon us, a time when many try to find good contractors to take on their projects, but at the same time ushering in the next installment in the ongoing soap opera that homeowners might refer to as Contractors of Our Lives. Few business relationships evoke such intense emotions as the homeowner-contractor bond. What about those worst contractor nightmares that everyone seems to talk about? Forty six percent said it was the contractor who takes much longer than promised to complete a job. Thirty percent selected the contractor who broke one thing while fixing another. A third place tie, at 20 percent, went to: contractors who quote one price and then increase it significantly during the job, and contractors who take the money and run – without completing the work. On another topic – job site cleanliness – opinions were mixed. Thirty-five percent said contractors had generally done a good job protecting their homes and leaving them clean and tidy, while 12 percent said contractors usually left a mess and expected customers to clean up when the job was finished. A good thing to look at when looking for a contractor for landscape maintenance is online reviews for the business. Another thing that is a good indicator is how long they’ve been in business and how busy they are. Customer service skills should be present as well. All of these things and more are skills for the right fit for your home or your business. Hiring a contractor is easy. Hiring a good one takes a bit more detective work. If you take this step, however, you will be on the way to finding a good landscape maintenance service. 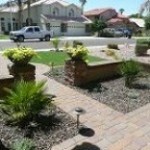 Green Servpro is a landscape maintenance company based in Chandler AZ. In Arizona, fertilizing your plants can mean the difference between a lush green landscape and a bland collection of half-dead trees and shrubs. But don’t just grab the first bag of fertilizer you find at the home improvement store; understanding what fertilizers are is just as important and fertilizing. Fertilizers are any organic or inorganic material of natural or synthetic origin that is added to a soil to supply one or more plant nutrients essential to the growth of the plant. Only three other macronutrients are needed by all plants: carbon, hydrogen, and oxygen. These nutrients are supplied by water and carbon dioxide. 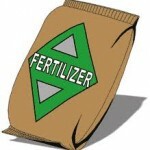 Fertilizers come in various forms, divided into organic or inorganic. Plants can only absorb their required nutrients if they are present in easily dissolved chemical compounds. Both organic and inorganic fertilizers provide the same needed chemical compounds. Organic fertilizers provided other macro and micro plant nutrients and are released as the organic matter decays. The most common solid fertilizer is a granulated or powdered form. The second most common form is liquid fertilizer; some advantages of liquid fertilizer are its immediate effect and wide coverage. Slow-release fertilizers reduce the problem of “burning” the plants due to excess nitrogen. Polymer coating of fertilizer ingredients gives tablets and spikes a ‘true time-release’ or ‘staged nutrient release’ (SNR) of fertilizer nutrients. Can you over-fertilize your plants in Arizona? Yes! You can over use plant fertilizer. Over-fertilization of a vital nutrient can be as detrimental as not fertilizing at all. 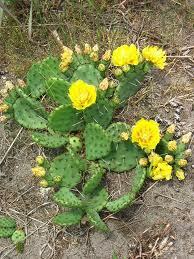 Over-fertilizing or “Fertilizer burn” can dry out of the leaves and damage or even kill the plant. So if you are going to fertilize make sure you read all the directions before starting the process. Organic fertilizers include naturally occurring organic materials, (e.g. chicken litter, manure, worm castings, compost, seaweed, guano) or naturally occurring mineral deposits. Poultry litter and cattle manure often create environmental and disposal problems, making their use as fertilizers very beneficial. Organic fertilizers have been known to help soil life and long-term productivity of soil. Organic fertilizer nutrient content, solubility, and nutrient release rates are typically all lower than inorganic fertilizers. In general, the nutrients in organic fertilizer are both more dilute and also much less readily available to plants. Nevertheless they are at least as effective as inorganic (chemical) fertilizers over longer periods of use. More recently, organic fertilizers are on the rise as people are trying to use environmental friendly products. Although organic fertilizers usually contain a lower concentration of nutrients, this lower concentration avoids complication of nitrogen burn harming the plants. In addition, organic fertilizers such as compost and worm castings break down slowly into complex organic structures which build the soil’s structure and moisture- and nutrient-retaining capabilities. Inorganic fertilizers almost always readily dissolve and unless added have few other macro and micro plant nutrients. You see results faster when the inorganic fertilizers are used. Pick up a drop spreader – this helps spread the fertilizer evenly throughout the lawn. 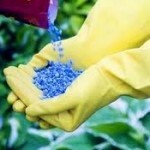 It also helps drop the fertilizer granules to the bottom (closest to the roots). Make sure you change the settings to adjust the amount of fertilizer that you are spreading in the lawn. Measure the square footage of your lawn before you go out and by a granulated fertilizer. Make sure the fertilizer is a good-quality product. Remember if it is cheap it is probably not worth buying, that’s not to say spending a large amount of money on fertilizer will insure a lush green lawn. Most fertilizer bags have directions on them to let you know how much to use, be sure to read the directions ALL the way through. Be sure to overlap the wheels to avoid any yellow strips or spotting. Be sure to close the drop spreader when you get to the end, you don’t want to fertilize any gravel areas. You will get unwanted weeds. Fertilize along your lawns edging, if you have a bordered edge be sure to keep one wheel on the edge. Never fertilize a drought stressed lawn (brown dry lawn) You want the lawn to be dry when you apply the fertilizer but that just means don’t run your sprinklers before you fertilize. Always, always water your lawn after you fertilize. This helps the granules get into the soil and down to the roots. There are quite a few different type of grass and all types should be cut at different heights. The types include but are not limited to; Bermuda, Rye, and St. Augustine. Never mow more then 1/3 of the leaf blade off at one time. Never let your lawn grow really tall before cutting it. Mowing once a week is best but can be done bi-weekly as well. 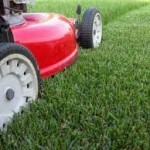 St. Augustine – cut grass 2 to 4 inches high. If grass only gets mowed every 2 weeks mow closer to the 2 inch height. 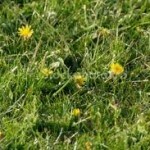 Treat your lawn with herbicides to control the weeds. Herbicides like pre-emergent inhibit weed growth. If you already have weeds in your lawn use an herbicide that contains carfentrozone, this will kill the weed without killing your grass. It is very important to buy the correct herbicide or you will end up killing your lawn. If you are allergic to some herbicides you can always use a natural or organic product. These products do work well but take more time to work. Watering early in the morning is best for your lawn. Watering in the morning helps with absorption and prevents water from sitting on the lawn causing the lawn to mold or fungi. Make sure your lawn is receiving plenty of water so your roots can grow strong. If your lawn is not getting enough water the roots will be shallow and dry out quickly. Summer watering for Bermuda and St. Augustine – 12- 15 minutes per day with 2 days off. Winter Rye watering – 7-8 minutes a day with 2 days off. Do not water lawn on the same day you cut the lawn. How to get your Landscape ready for monsoon season. Monsoon season is upon us! Get your Landscape ready. Below is a list of things you can do to help prepare your landscape for the season. Many people love large shade trees in their yard escpecially in this Arizona heat. What people do not realize is that all trees need to be maintained. By maintained I mean trimmed and thinned out at least two times a year to keep them full yet weather resistant. 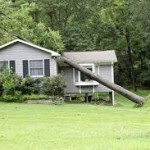 If you let your tree grow large and become un-kept it can fall over or have limbs break during storms. Not only does this cause damage to the tree but to your home and property as well, not to mention the dent it can put in your wallet. 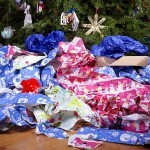 Remember it is much easier to prevent the problem then trying to clean it up later – more cost effective too. Stake your smaller trees! You want to do this to prevent them from falling over in the storms. Smaller trees will fall over more quickly because they do not have a good root base yet. When the tree does fall it can brake limbs and damage the roots and you may lose the tree. Be sure to clean-up your landscape of all debris and leaves. The debris could get swept up by the winds and cause more damage in the yard. Pre-emergent is important to put down before a large storm rolls in. 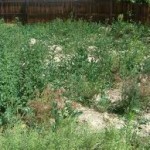 All the rain fall will cause weeds to grow in your landscape. Applying pre-emergent to your landscape will treat the ground and prevent weeds from sprouting. Landscape grading is a very important part to any landscape. Surface water comes down directly from the rain. 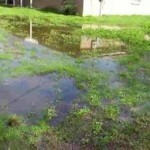 If not graded properly you will have pools of water in your yard. The pools might stay long enough to attract insects such as mosquitoes that can carry deceases. Green ServPro will treat your Chandler landscape maintenance as if it one of our own homes. We understand that every customer may have different tastes and preferences from the way we trim the shrubs to what type and color of flowers you like. Right from the start our goal is to structure a lawn care and landscape maintenance plan to enhance or return your lawn and landscape to a healthy, green and clean appearance. We provide the highest level of communication with our customers. We maintain open lines of communication, maintaining on time schedules and keeping you informed about problem areas and required sprinkler and irrigation repairs. We also provide you with timely notices like frost warnings and service date updates along with a newsletter to keep you up to date with seasonal changes that pertain to the Chandler landscape services at your home. Our regular landscape maintenance services are provided weekly, bi-weekly, monthly and quarterly. Seasonal services are provided as well such as Winter rye grass overseeding or spring or fall time trimming and cleanups. Regular landscape maintenance services include regular shrub and tree trimming up to an 8 ft. height, lawn care including regular fertilization and weed control, landscape weed removal and spraying, blowing out of the yard including patios, driveway and walkways. Hauling and disposal is also included. Landscape lighting is the frosting on your landscapes curb appeal and outdoor living space. Outdoor lighting can enhance the architecture of our Arizona home, highlight the trees and shrubs as well as illuminate your homes pathways, patios & fountains. Why Choose Green ServPro for your Landscape Lighting? Green ServPro specializes in installation and outdoor lighting repair and LED light conversions which includes trouble shooting wiring, lighting fixture connections, lighting transformer and fixture replacements or replacing your landscape light bulbs. Serving Gilbert, Chandler, Mesa and other East Valley cities, we also can provide landscape lighting ideas and design a system which will beautify your home and enhance your night time back yard entertainment. You will love how your landscape comes to life with outdoor lighting. Landscape path lighting defines paths and casts a soft light to lead us down the path throughout our landscape. Many walkways are created with beautiful cobblestone, flagstone or architectural concrete with beautiful plants along the walkways; highlight the vibrant colors with lighting on the paths edge. 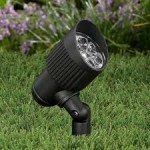 Spot lights are also a great way to highlight your landscape. Spot lights are narrow outdoor lighting fixtures which focus light directly onto objects such as Palm trees and focal points such as fountains and landscape décor like statues or Garden Art. Flood lights which give a broader scope of light can be used to highlight the canopies of larger trees or enhance the architecture of your home. LED Landscape Lighting – Go Green and save energy! Green ServPro can repair landscape lighting system and at the same time convert your light fixtures to LED! While your Halogen lamps may need replaced every 2 or 3 years, your new LED lights may provide up to 20 years of maintenance free performance. So what’s the difference in the lighting? Halogen lamps in your outdoor lighting fixtures have been the standard in lighting. In recent years new technological advances in lighting have produced LED light bulbs (Light emitting diodes) which produce the same amount of light as it’s Halogen counter part with as much as an 85% energy savings! 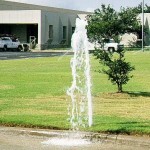 Why Choose Green ServPro for your Chanlder Sprinkler Repair and Irrigation needs? Green ServPro is your local Chandler sprinkler repair and drip irrigation system install expert. We work on all brands of irrigation timers, valves, sprinklers and drip irrigation systems. Green ServPro understands how critical a good irrigation system is to the health and beauty of your lawn and plants throughout your Chandler, Az. landscape. We will quickly diagnose problems and professionally repair or replace what is required to get your sprinklers or drip irrigation system back into operation as quickly as possible. We are Dedicated to giving you a Great irrigation system. Green ServPro LLC is dedicated to ensure your irrigation system is operating in top performance. We will inspect your system from the timer to the drip system emitters delivering water to your plants and trees as well as ensure your sprinklers provide appropriate coverage for your lawn. We provide emergency irrigation repair services in Chandler and throughout the Valley. Each inspection provides the following for just $75 plus material for listed repairs. A Free Estimate will be provided for additional repairs. Irrigation Timer checks to ensure all zones function correctly in the automatic and manual modes. Programming will be adjusted for the proper seasonal watering times. Sprinkler and drip irrigation valves will be inspected for leaks, proper operation in manual and automatic mode. Wiring connections will be checked for corrosion due to unsealed wire nuts, connections will be repaired as needed. All sprinkler and drip irrigation main lines will be checked for leaks. Drip irrigation emitters will be checked for proper operation and replaced if clogged or capped if not in use. Sprinklers will be inspected for leaks from stems or nozzles. Adjustments will be made to your existing sprinklers and recommendations will be provided if it is necessary to add sprinklers for proper coverage. Please call us today for your sprinkler or irrigation needs! Remember it is getting hot out there so your plants and trees need to be on the summer watering schedule. Monsoons: What will they do to your Landscape? Monsoon Season is coming so what does that mean for my Landscape? Monsoon Season has an average start date of the first week in July and usually ends in mid September. 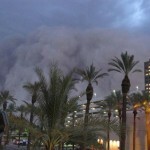 During the monsoon season Arizona experiences more severe weather then most states. Monsoons have dust, high winds, and heavy desert rain usually resulting in flash floods. Arizona typically gets about 2-1/2 inches of rain during monsoon season, that is about 1/3 of the yearly rainfall Arizona gets. How monsoon season can affect your Landscape. 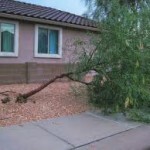 Monsoons can cause limbs or entire trees to fall, often landing on homes, cars, or other trees. 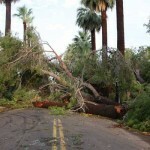 Even an old tree with strong roots can be damaged in a monsoon with the 40mph – 60mph winds. Top heavy trees need to be thinned out to allow wind to move through the tree and help prevent storm damages from occurring. This also promotes a more upright growth and allows the sun to penetrate the interior of the tree to aid the trees health. How much could this monsoon season cost you? Please give an expert a call today! We will come out and give you a free estimate for a tree service. Remember it is more cost effective to have your tree serviced before the damage occurs. 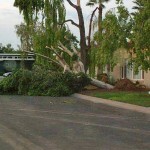 We would rather save your tree from falling or being damaged then having to remove it. Call Green ServPro at 480-420-0902 or email Danielle at Danielle@greenservpro.com. Aphids: Do They Destroy Landscaping? Aphids also known as plant lice are small sap sucking insects. 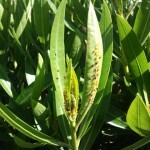 When aphids feed on the sap they often transmit plant viruses, these viruses can sometimes kill the plant. Aphids are among the most destructive insects to plants. They vary in size ranging from 1 to 10 millimeters. In infestation situations there are chemical sprays you can use to get rid of them. It is not uncommon to have to repeat the process so make sure that you check your plants on a regular basis to insure all the aphids are gone. es kill the plant. Aphids are among the most destructive insects to plants. They vary in size ranging from 1 to 10 millimeters.